1963 Alfa Romeo Spider PG 2. 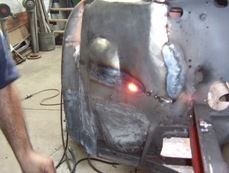 Repair sections being welded in place. 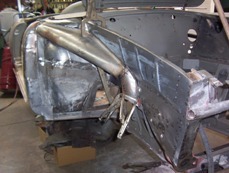 New fabricated inner skirt and horn panel being trial fitted fo welding. 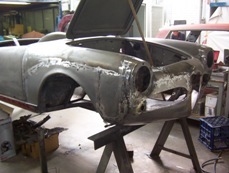 Front end nearing completion,new sections are lighter colour. 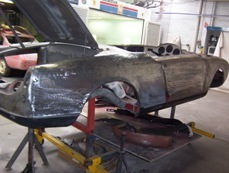 Rear end with new quater panels in place prior to fabricating wheel tubs. 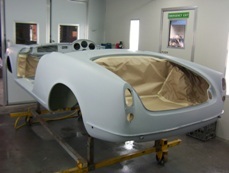 Body under epoxy primer. 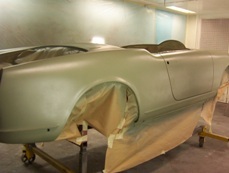 After filling and blocking the body was high fill primed. 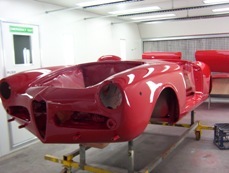 Painted in the classic Alfa red. 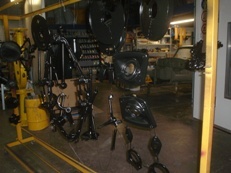 Suspension and various other components painted black.